It&apos;s inevitable that things will break while you&apos;re far from home - whether it&apos;s something as small as a broken zip on a jacket, or puncture in a camping mat, or as big as a car breakdown, you really don&apos;t want it to ruin your holiday. Roger from Australia got into a sticky situation while 4-wheel-driving in the remote and mountainous forests of Australia recently. "One of our Land Rovers developed a hole in the turbo hose – which is subjected to a lot of heat and pressure. Sugru came to the rescue and was moulded beautifully into the hole, was left overnight to cure. It allowed us to continue our trip with the turbo back to full functionality and engine performing normally once more. 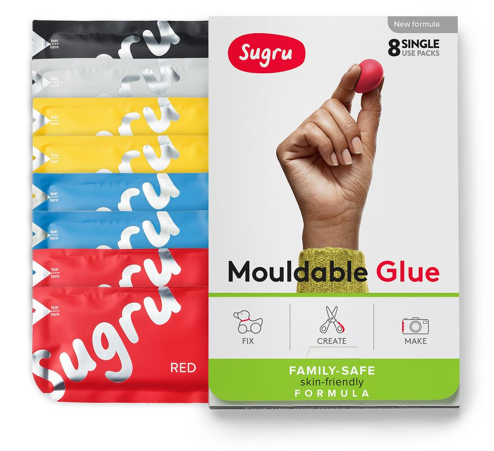 Sugru got us out of a very tricky situation!" This is a great example of how keeping Sugru on hand for those last minute repairs can be so...well...handy.